What did you like most about NIV Bible 8? 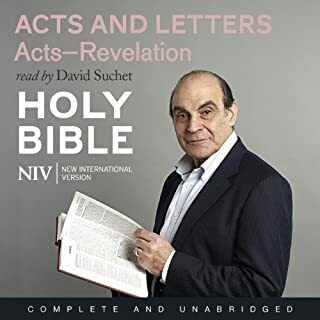 David Suchet's fantastic audio performance. David Suchet's account of St Paul's letters take on an evener deeper meaning, in light of his affection for the saint. Have you listened to any of David Suchet’s other performances? How does this one compare? I have found all of his audio performances highly engaging.